Precision Strata | NEWS | Do Smoke Alarms Expire ? If no expiry dates are present on your existing smoke alarm and there is no installation paperwork, there is a strong chance they are out of date. 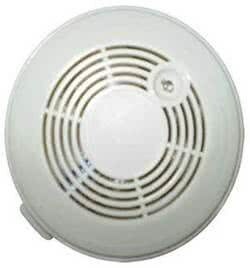 All smoke alarms and detectors have a used by date, this includes each hard-wired alarm having an expiration date. Smoke alarms are required to be replaced every 10 years. The Australian Standard 3786 says the maximum life span of an alarm is 10 years, but not all of them last that long. Some battery units last as little as one year. Some owners argue that their hardwired smoke alarms still activate, but despite fresh batteries and a piercing beep, (which only indicates the device has power), the alarm may still fail to save their life in a fire as the sensing mechanisms function for only about 10 years. As electronic devices age, the likelihood they will malfunction increases, therefore smoke alarms become less effective at sensing smoke. A date of manufacture printed on the back of smoke alarms will tell owners if they need to be replaced. If it’s more than 10 years old, it needs to be replaced. If owners see a number instead of a date, then the alarm is very old and must be replaced immediately. As the majority of smoke alarms installed now are 240v mains connected, a licensed electrical contractor is required to replace them. As it is now compulsory to have smoke alarms installed in all NSW homes and units, there are penalties and fines in place for private and rental properties for not having compliant and working smoke alarms in place. A smoke alarm will be compliant if it is installed in accordance with the Building Code of Australia (BCA) applicable at the time of installation of the alarm. The BCA specifies the minimum standards and location with which smoke alarms must comply. A common strata issue faced is that the BCA at the time of when a building was built (especially if it is over 10yrs old) commonly would have only required 9 volt smoke alarms, however today’s current BCA standards require a hardwired smoke alarm. Further, BCA E2.2A-3 states, in a building not protected by a sprinkler system in the public corridors and other internal public spaces, smoke alarms must be installed. Therefore, smoke alarms are now required (under current BCA regulations) to be installed in public common area corridors, be hardwired and interlinked. For further information regarding smoke alarm compliance, please contact ERMA Fire on (02) 9280 0030. Please contact Shane Ball [email : info@precisionstrata.com.au ] Licensed Strata Manager and Managing Director at PRECISION STRATA for assistance with your strata title management needs.